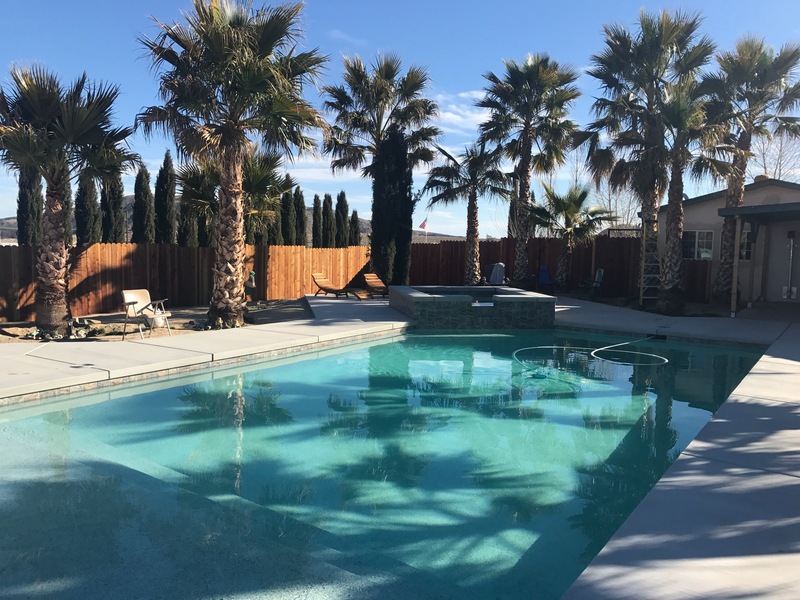 The Request: A renowned home builder out of San Diego with over 25yrs in the industry gave us the opportunity to create a bold statement and design for a custom built home at The Reserve located in Palm Desert. 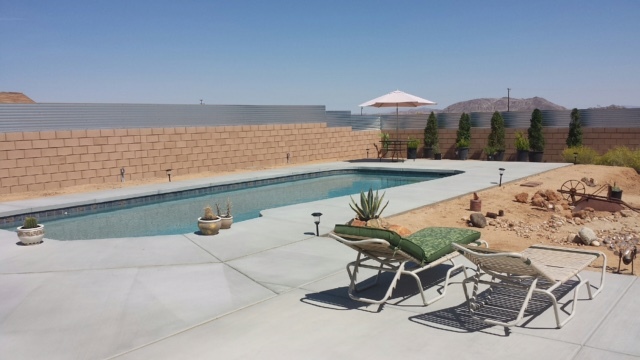 Homes at The Reserve stretch across 780 acres of spectacular desert habitat. 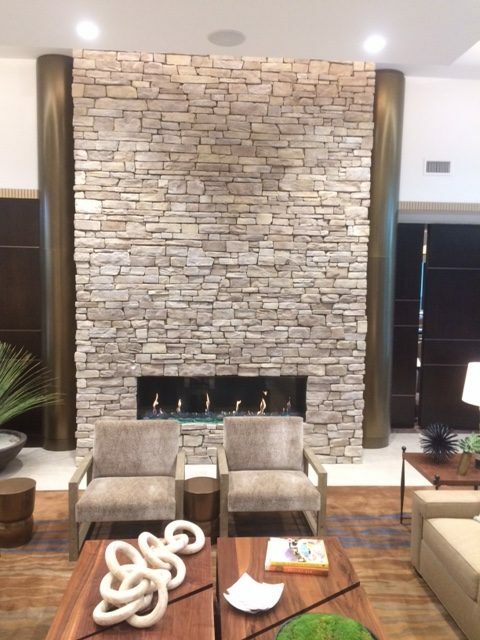 Our mission of this custom home project was to integrate exquisite and tasteful fireplace architecture seamlessly with lush lively golf fairways. 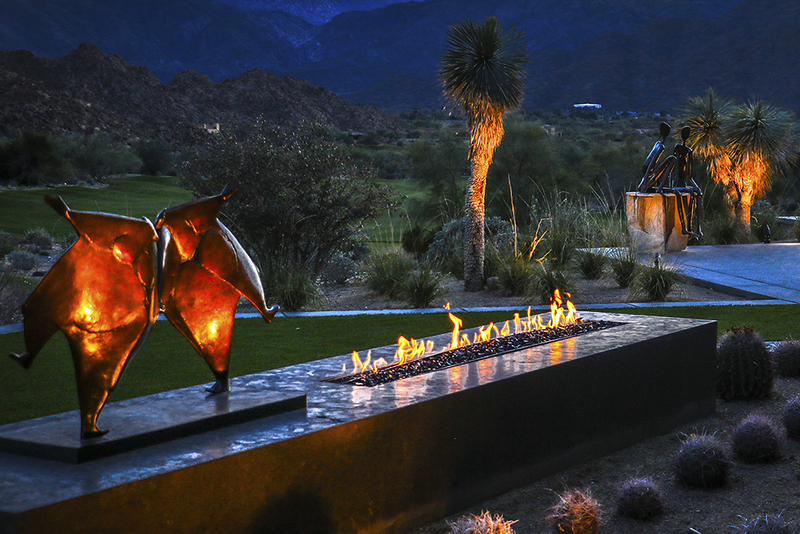 The Reserve is consistently honored and awarded as a Top Luxury Golf Community in America. 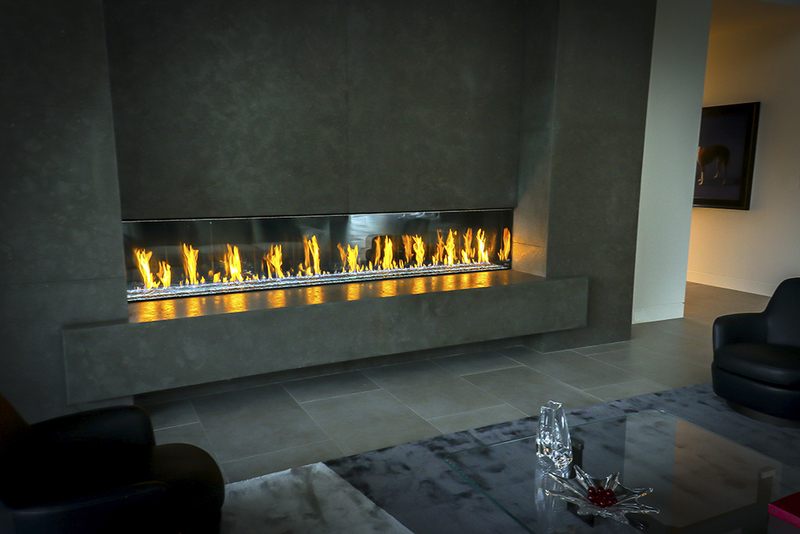 Our Vision : a fireplace that makes a statement. 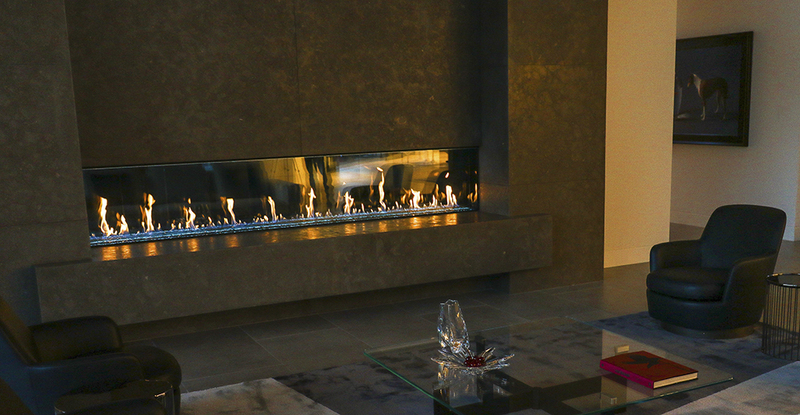 A fireplace that can be comfortably burned year-round in the desert. 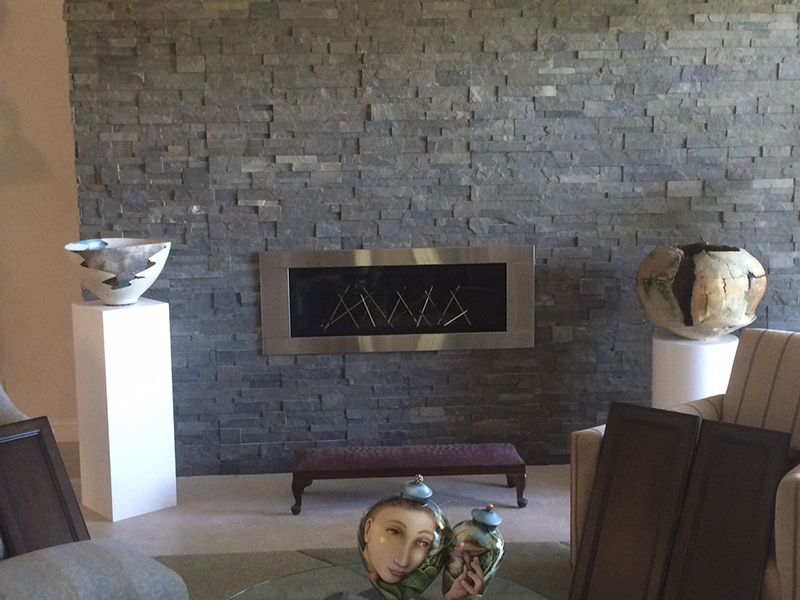 The answer: The DaVinci fireplace, our custom line. 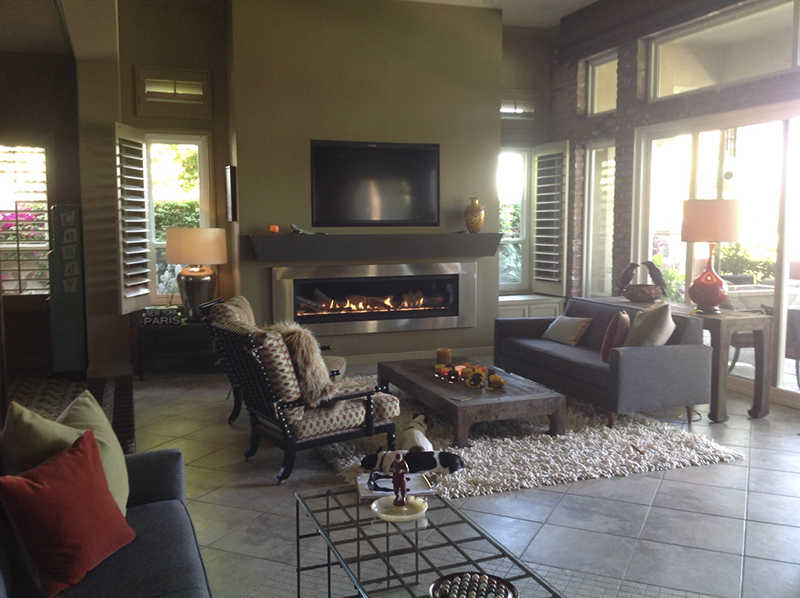 For the living room, a 10′ fireplace with 20″ glass height is a striking focal point of the room and the accompanying bedroom unit is 7′ long with 20″ glass, full of cozy fire. 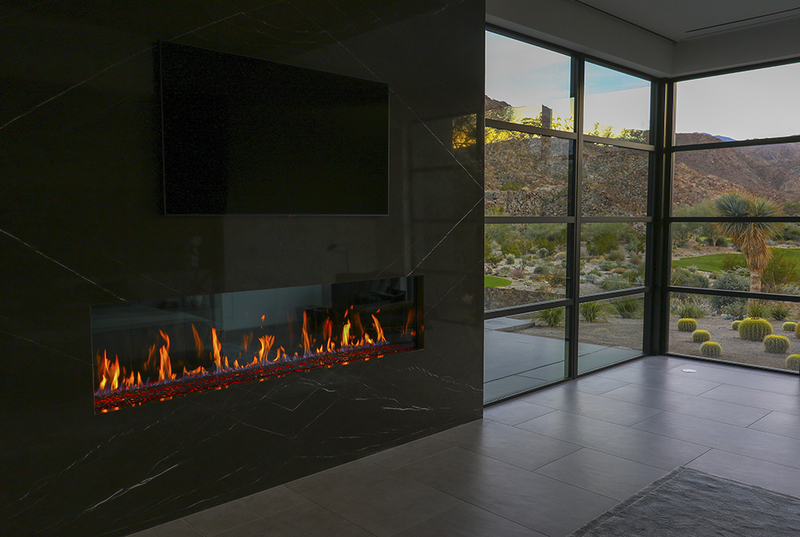 Outdoor next to the 8′ linear firepit with ebony glass beads is a view into the house with the flames of both fireplaces reflecting back in the spectacular glass, a striking contrast to the mountainous desert landscape. 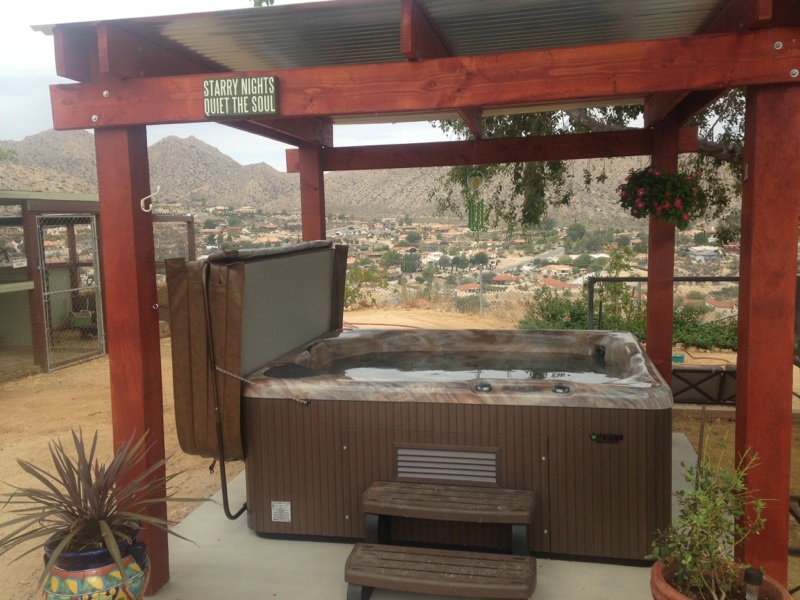 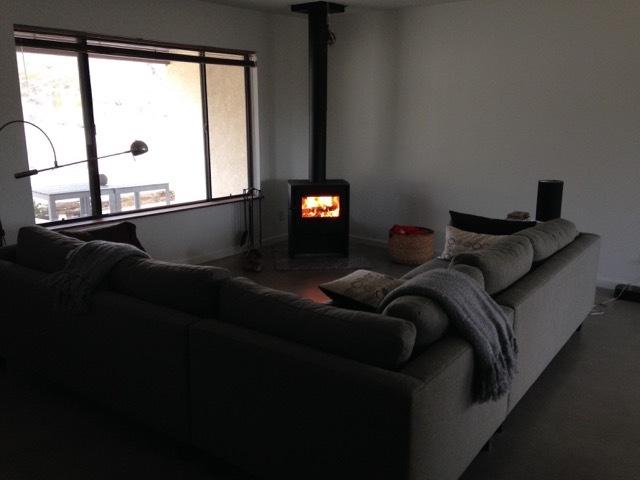 Installation provided in-house by our factory trained installer with an 19-year career in the hearth industry.